Westminster Village in Dover provides 24-hour personalized care and special services to residents based on their unique individual needs. Our services include a range of long- and short-term skilled nursing care services including rehabilitation therapy, care for people with Alzheimer’s Disease and other forms of memory impairment, respite and hospice services. Both inpatient and outpatient rehabilitation are available, enabling people to stay in the comfort of their home whenever possible. If needed, a Rehab technician can provide transportation to and from outpatient therapy sessions. In addition, if you are admitted for a respite stay, recuperative care, or short stay rehabilitation, our discharge planning support will help to ensure everything is ready for your return home. In addition we have embraced new technology, like Point of Care, to further enhance the lives of the people we serve. Point of Care is a real-time computerized resident information system which enables licensed nursing staff as well as nursing assistants to access resident care needs and assignment information. This enables them to complete documentation at the time the observation and care occur. Armed with laptops and using a simple point and click interface, users can document with accuracy and speed. Nursing assistants are now “charting as they go” instead of waiting until the end of their shifts and trying to remember what happened throughout the day. As with all levels in our continuum of care, our licensed nursing staff works in concert with residents and their families—as well as the rest of our team—to ensure each individual’s needs are met and that services are adjusted as those needs change. Below is a list of other services provided through Skilled Nursing and Rehabilitation. Schedule Your Visit to Westminster Village in Dover Today! 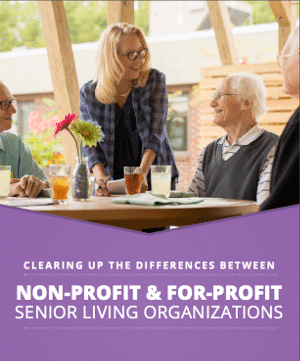 Subscribe to the Presbyterian Senior Living Blog and see the differences in mission, care, and stakeholders and how Presbyterian Senior Living is leading the way.